It was February, the rainy season in Kenya, and the dirt road was muddied from the rain the night before. An elder from a local village named Mary was walking along the edge of a large maize plantation in Machungwa. Humming to herself as she walked, enjoying the cool morning air, Mary stopped suddenly. What was that sound? It seemed like a child crying. She couldn’t be sure. As she walked, the cries grew louder. She began to run. Breathless, Mary stood at the edge of the road looking down into a ditch leading to fields of maize. At the edge of the cornfield was an newborn baby boy, soaking wet and shivering in the mud. The long purple umbilical cord was still attached to his stomach. Shocked, Mary picked up the boy and took him to the hospital for immediate treatment. While the baby recovered in the hospital, Mary began asking around in her community, trying to find the boy’s mother. She had no luck. So she informed the local authorities about the child’s situation, and Kenyan children’s department urged Mary to foster the boy. She took the boy into her home and began calling him Moses. Though Mary’s intentions were good, her family and the people in her village could not accept Moses as one of their own. They met his basic needs, but he received little of the love and encouragement a child needs. As Moses continued to grow, Mary’s other sons began to resent this new burden on their family. When the adults were not around, the children would tease Moses about not having a “real” home. Moses asked Mary, But, where is my home? Mary was forced to realize that she could not provide Moses with the safety and care he needed. 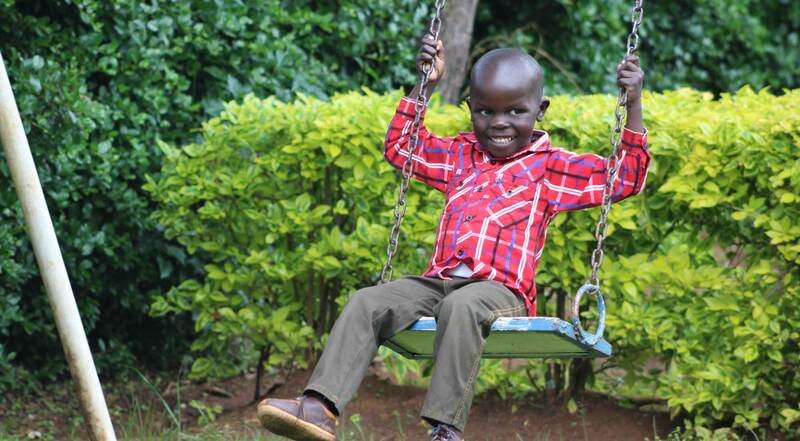 When he was just four years old, Moses was admitted to Horizon’s flagship Micro Community, called Baba Nyumbani. After some time adjusting to his new life within the Micro Community, Moses came alive. Now, he loves going to school. He is full of life and personality. He is very opinionated and curious, always asking why? And, he’s already learned to reach higher and farther than he ever thought possible—Moses’ heart is set on becoming a pilot one day. Though his life started in tragic abandonment, Moses has genuine hope for a future. For the first time, he has “real” home, a place to belong.